As one of the largest multi-sport state competitions, State Fall Games has grown tremendously over the last five years. On the weekend of October 26-28, more than 1500 delegation members from around the state will converge on Myrtle Beach for Special Olympics South Carolina State Fall Games. Special Olympics South Carolina is committed to providing quality competition for athletes, unified partners and coaches in addition to providing a weekend of fun on the beautiful South Carolina coast. Registration, Opening and Closing ceremonies will be held at the Myrtle Beach Convention Center. Competitions will be held at Coastal Carolina University, with the support of the Coastal Carolina University Athletic Department. Other venues are still being determined and with the support of the community and local businesses, this event will bring significant economic impact to the area. State Fall Games offers seven sports; Bocce, Bowling, Disc Golf, Golf, Volleyball, Flag Football and Soccer. 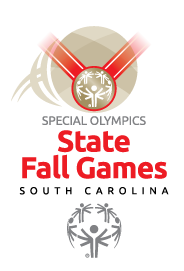 Beginning Friday, October 26, State Fall Games will kick off with Opening Ceremony beginning at 7:30 p.m. at the Myrtle Beach Convention Center and will include a Parade of Athletes, lighting of the cauldron, dinner and entertainment. The following day, Saturday, October 27, bocce, flag football, soccer, disc golf and volleyball competitions will be held at Coastal Carolina University. Golf will be played at The Hackler Course at Coastal Carolina University. Bowling venues are still being determined. Saturday will conclude with the Closing Ceremony and dance at the Myrtle Beach Convention Center.